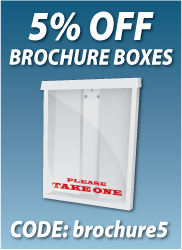 Need an easy way to advertise your Business or sale? Sidewalk frames are an simple and economical way to get your message to the public. Place your sign out during business hours and fold it up and carry it inside at closing. It's that simple! Sign Hub Sidewalk Signs are made of molded plastic for durability and come with two 36"x24" corrugated plastic sign panels to insert into the Sidewalk Sign. These panels can be removed and switched out at any time. One of our top selling products and sure to make sidewalk advertising pay off for you.